SO cute! I wish I had this exact look in my closet right now. Hope you enjoy as well. 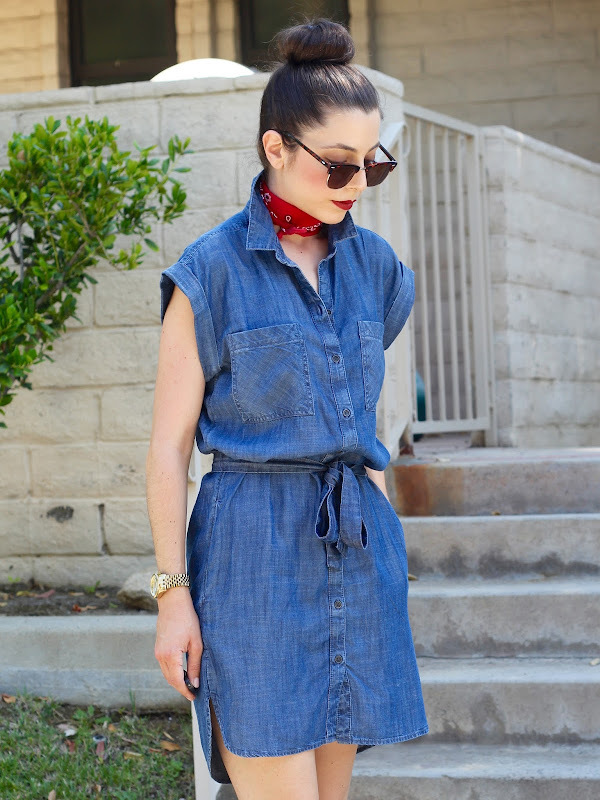 That denim dress looks great on you! I love it! This is such a gorgeous outfit! Love it! 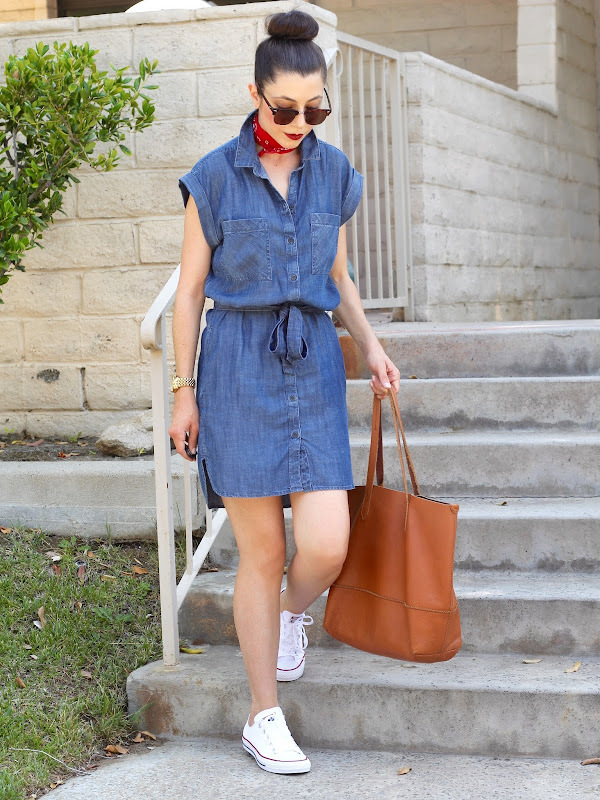 Such great simple dress - looks marvelous with the bright scarf.